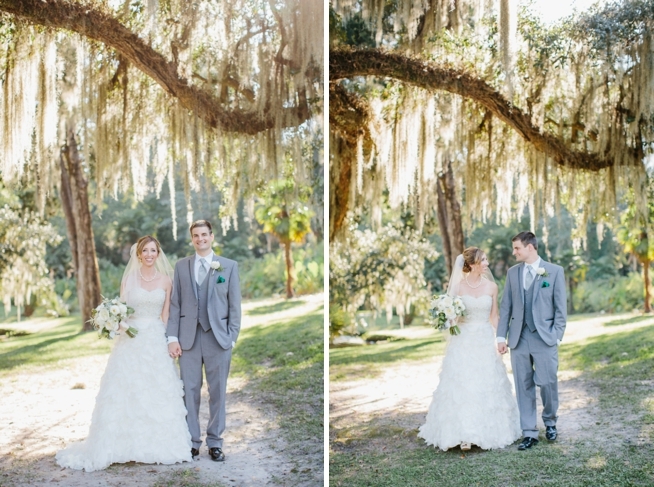 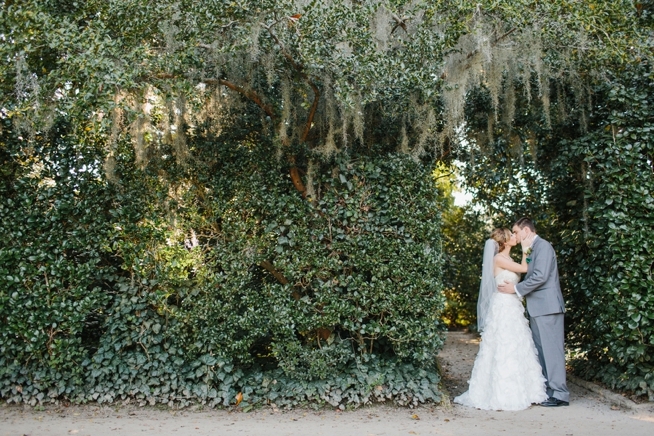 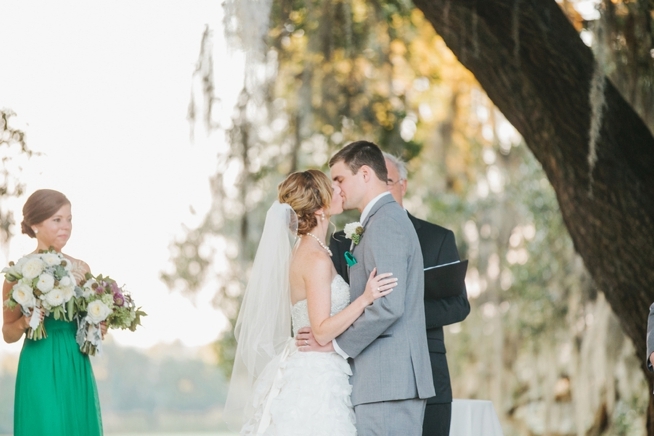 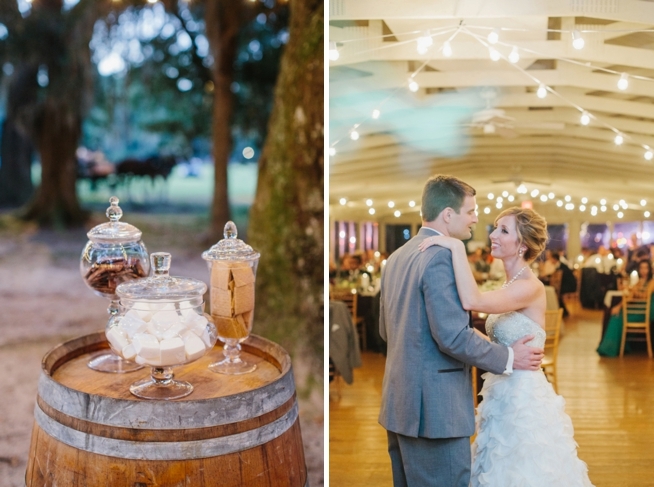 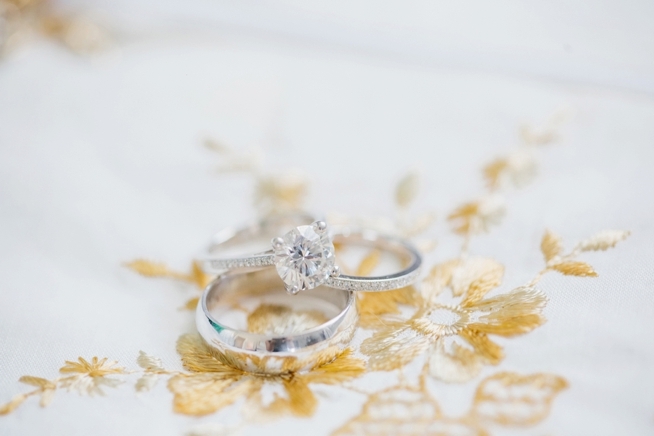 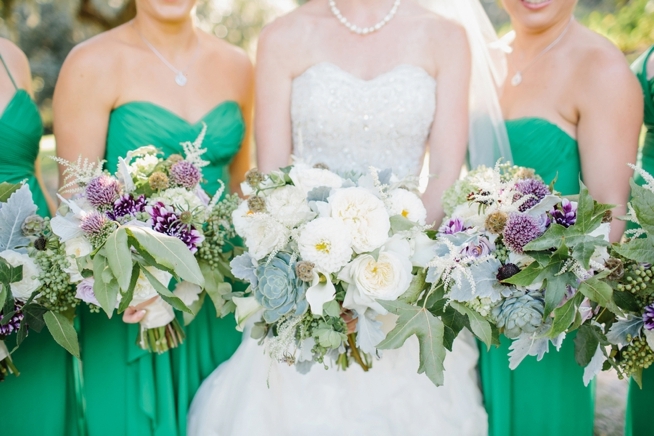 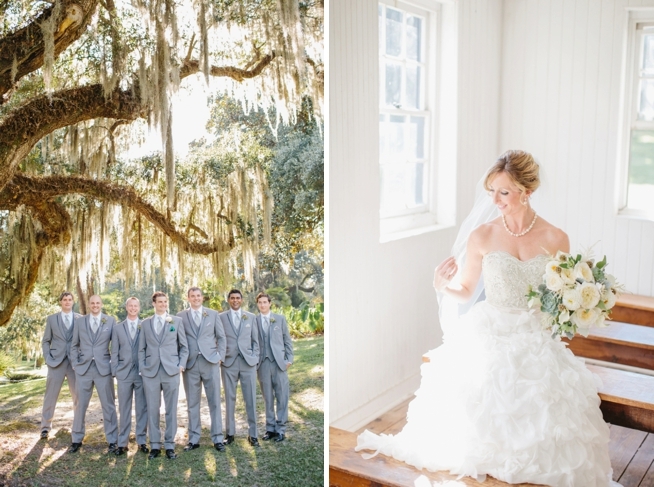 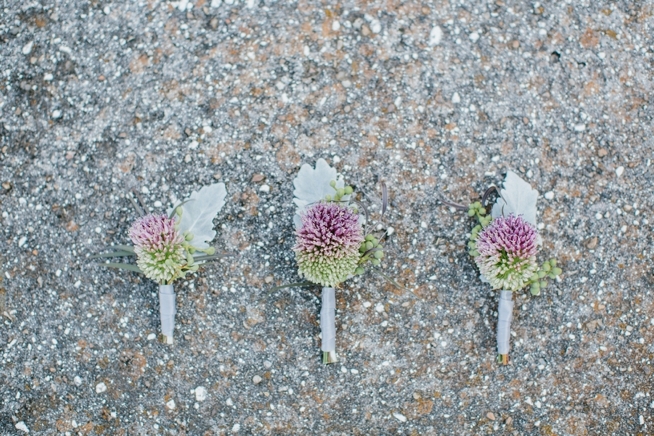 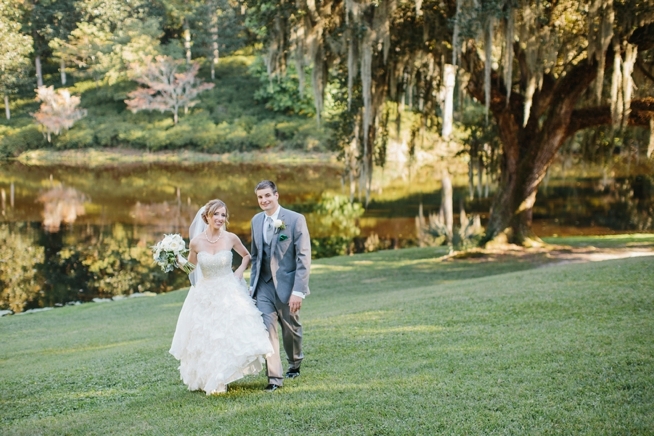 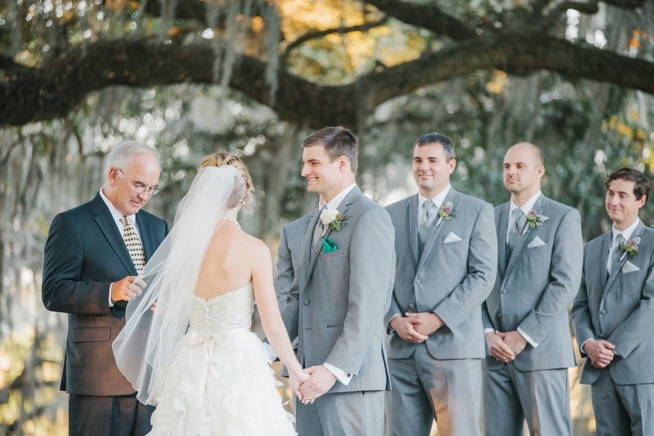 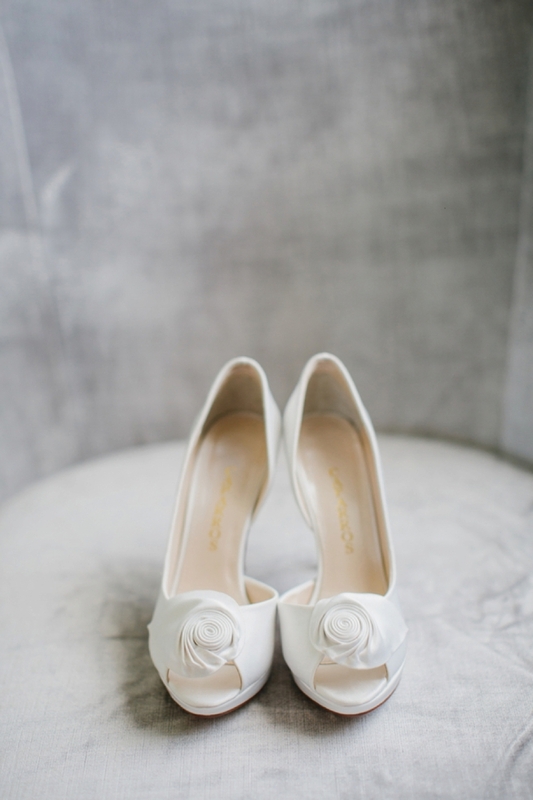 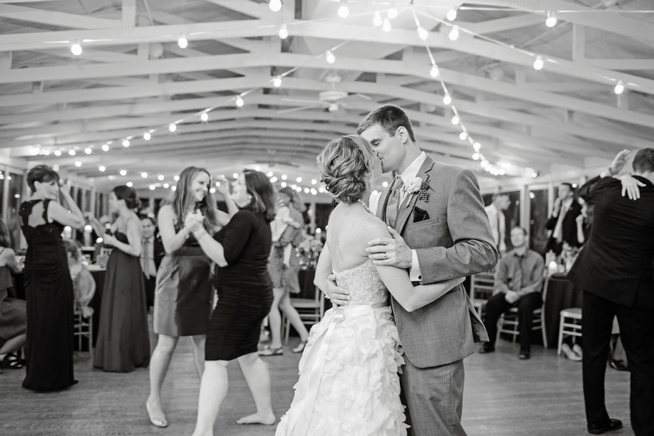 Prepare to pin, dears, because Linda and Brian’s wedding is positively brimming with prettiness! 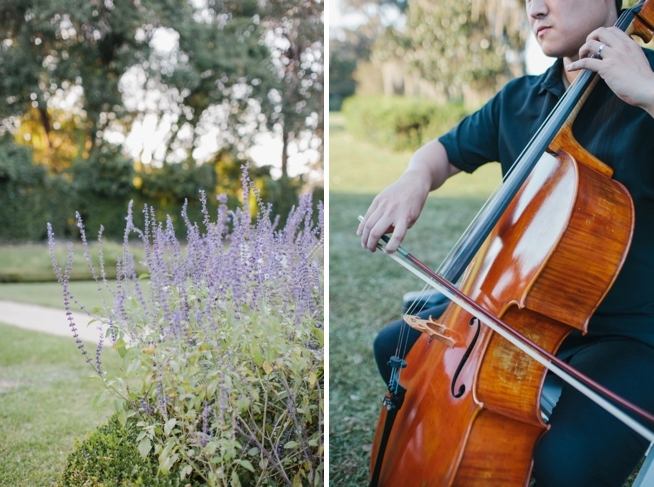 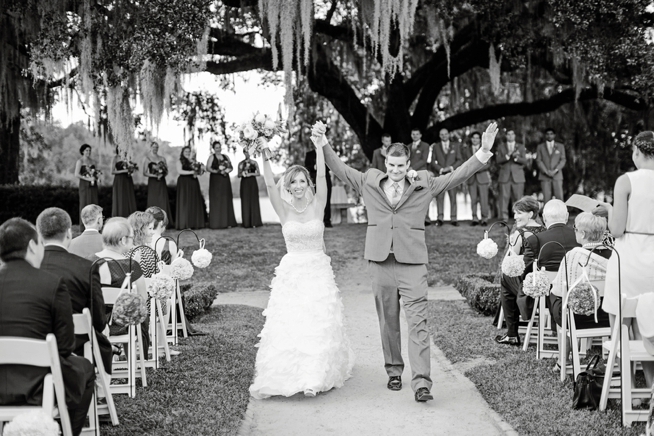 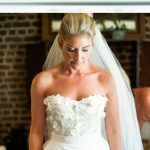 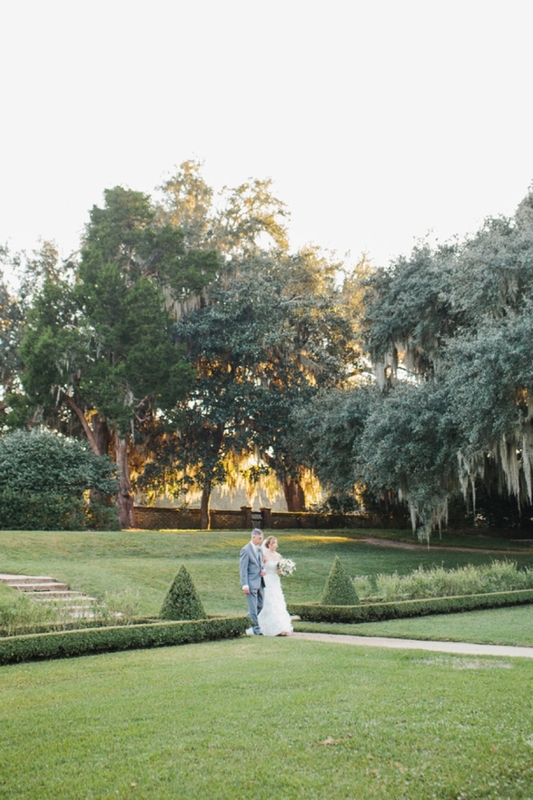 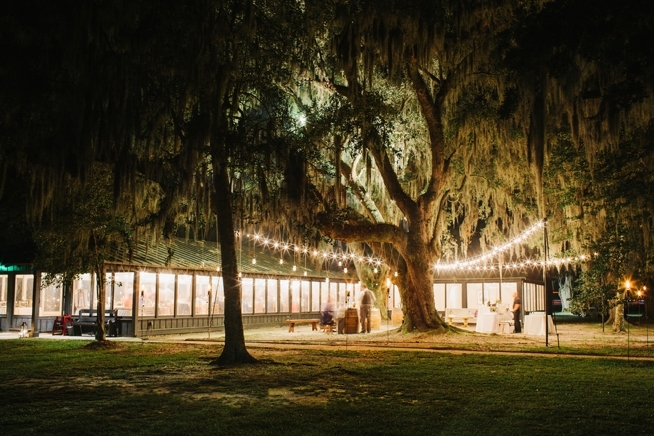 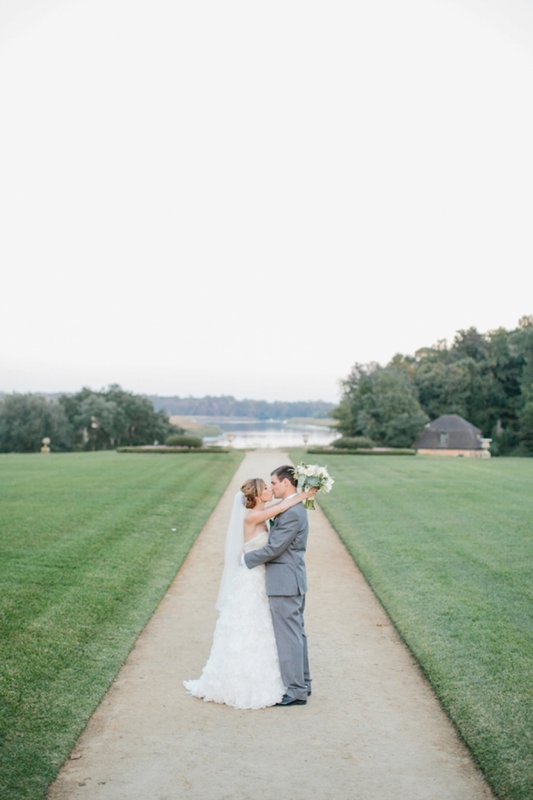 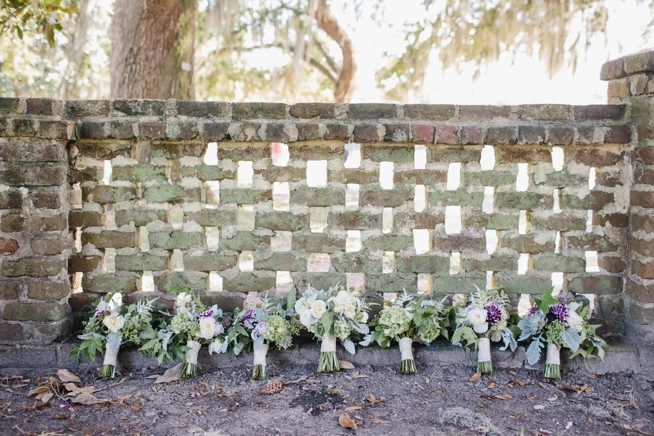 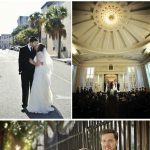 As Brian waited under the magnificently enormous oaks of Middleton Place, Linda and her father made their way—quite dramatically—down the long terraced garden path. 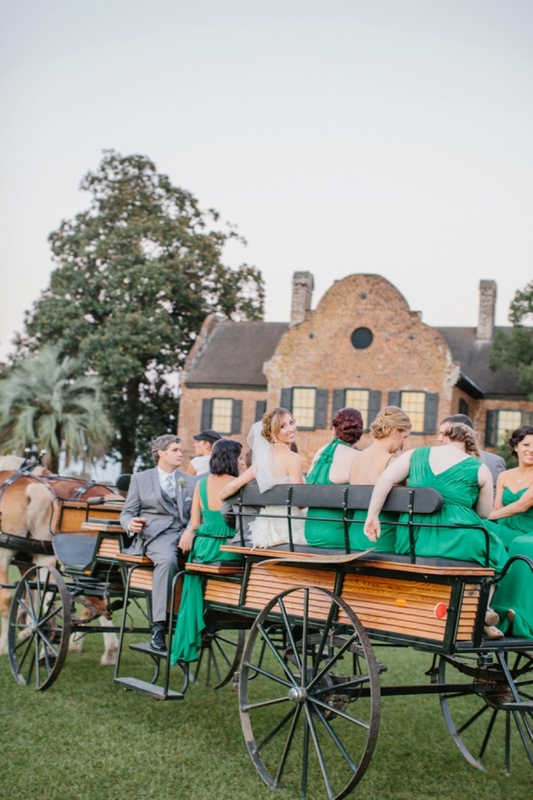 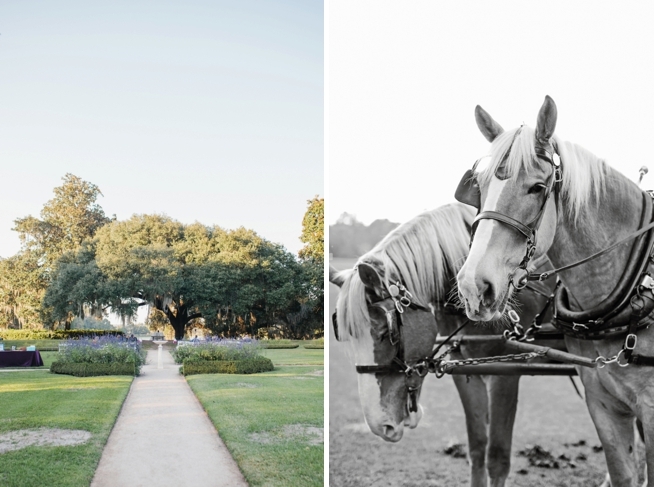 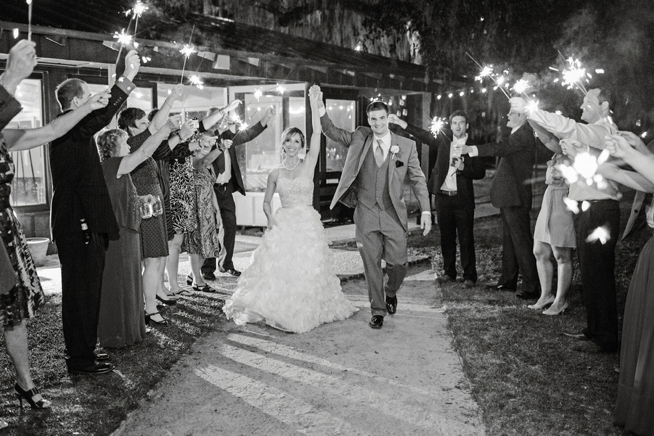 After the ceremony, the newlyweds and their bridal party (dressed in greys and peacock green and carrying the most beautiful hand-tied bouquets by Branch Design Studio), hopped into the bed of a horse-drawn carriage and made their way across the plantation grounds to the reception in the Pavilion. 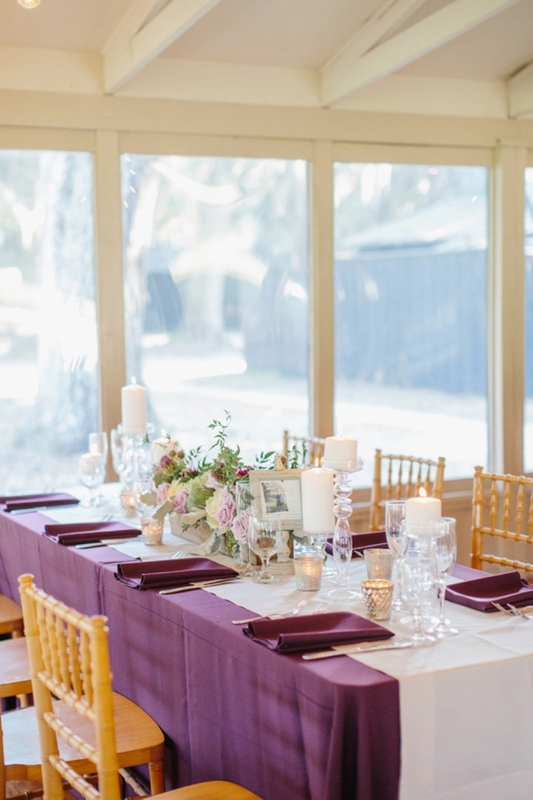 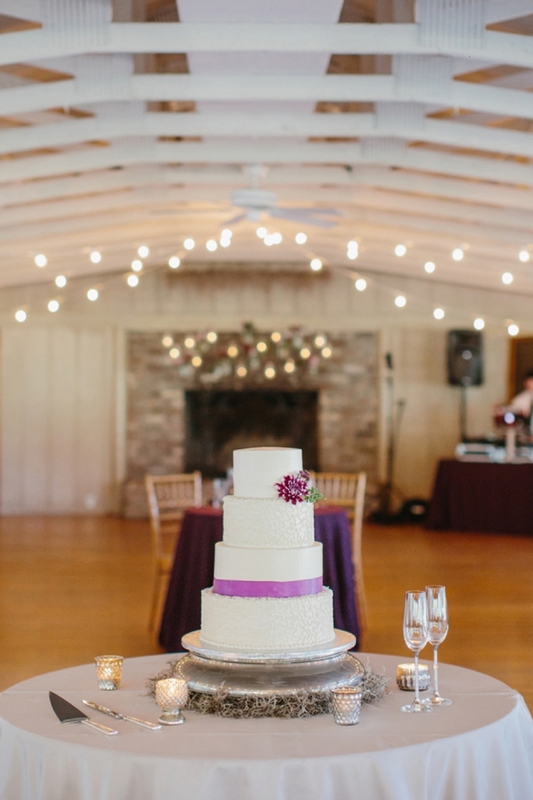 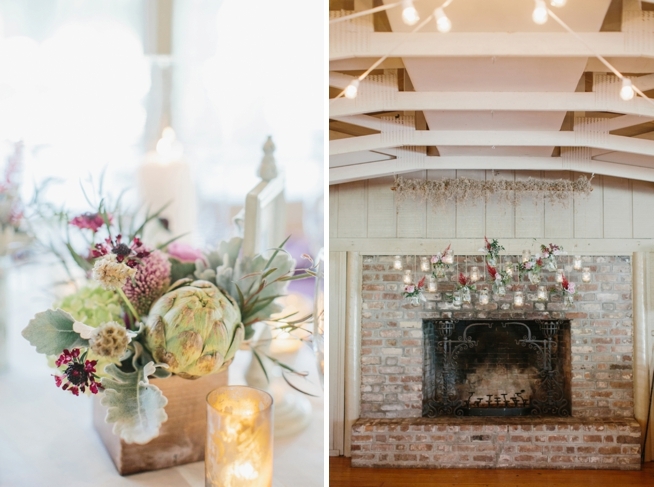 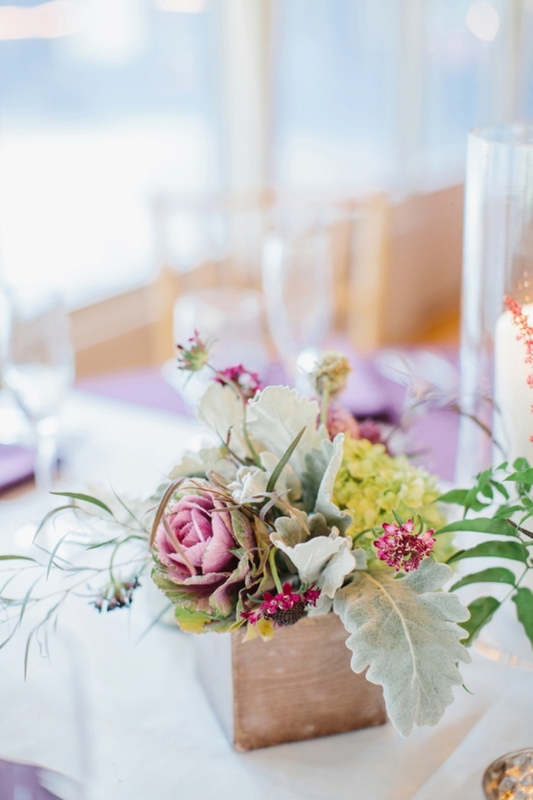 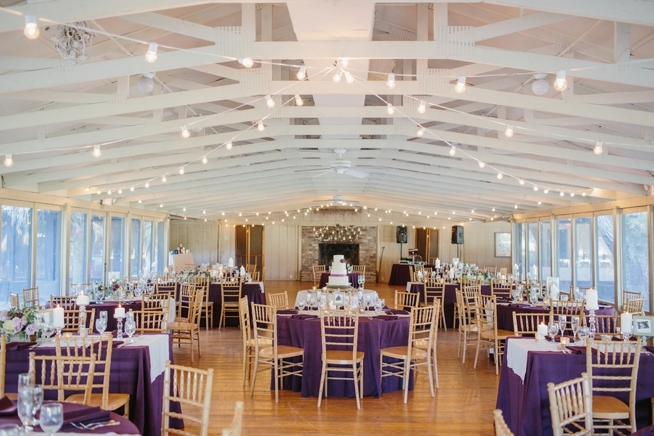 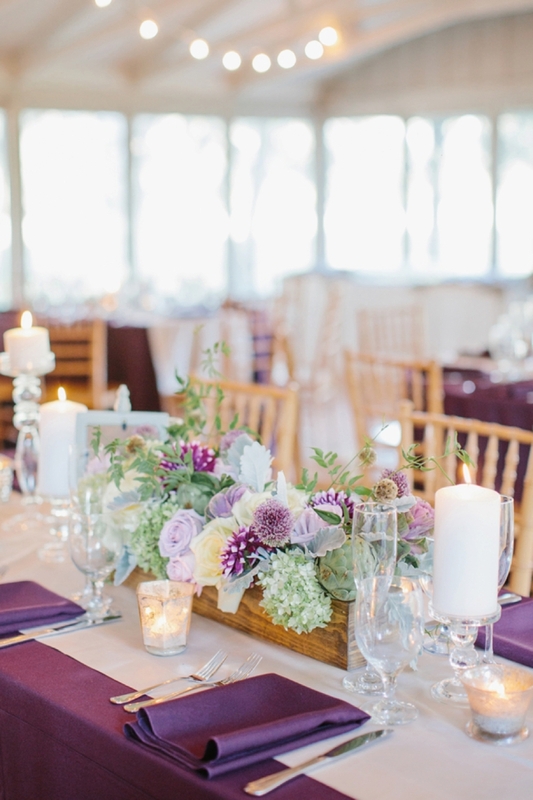 The talented ladies of Yoj Events had put their magical touch on the space and filled it with more beautiful blooms, tables draped in plum-colored linens, and bistro lights hanging from the rafters above. 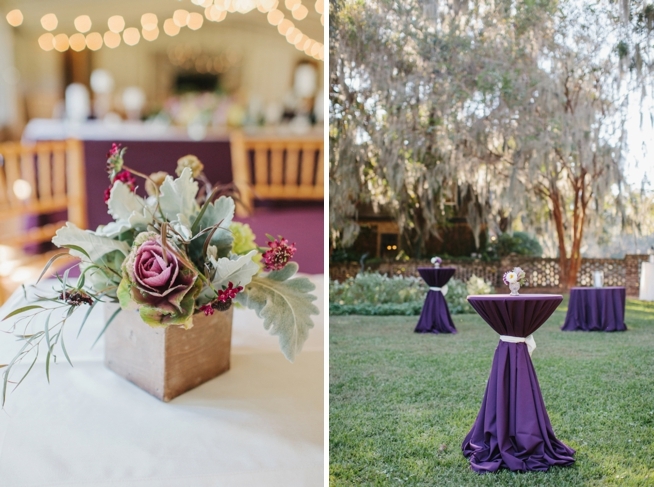 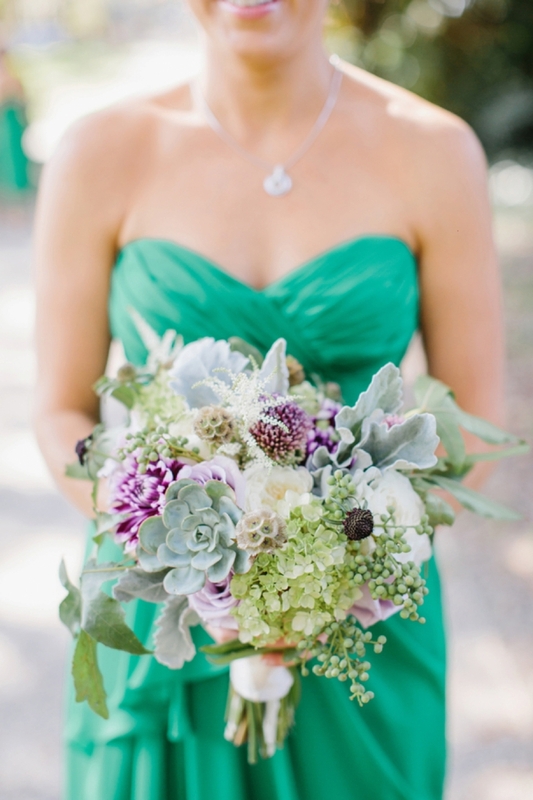 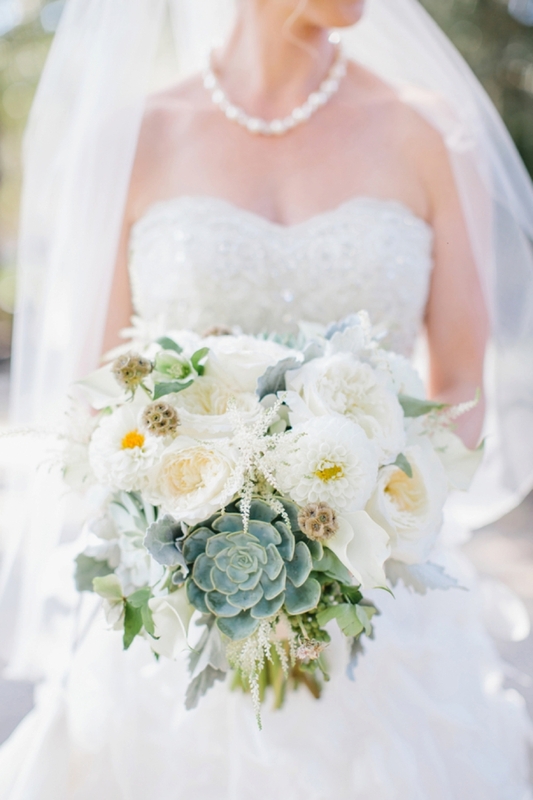 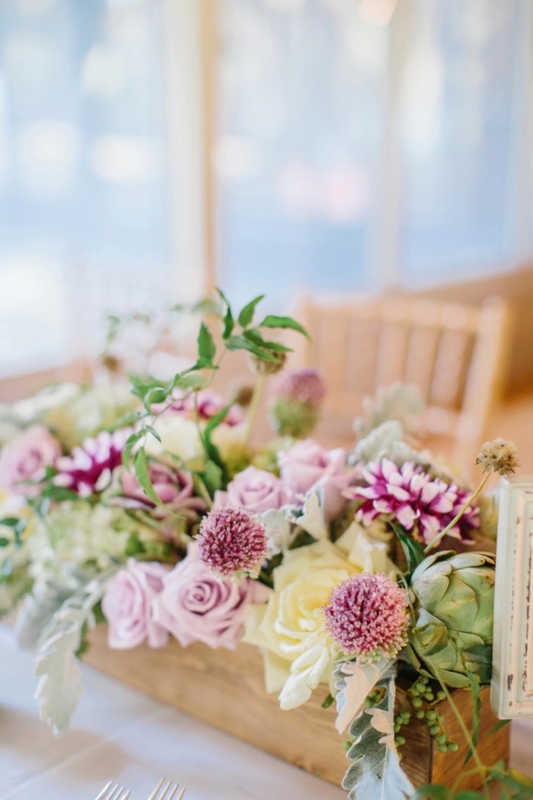 My favorite funky detail was how artichokes were tucked into the whimsical floral arrangements—the gray-green of the vegetable picked up the color scheme exquisitely! 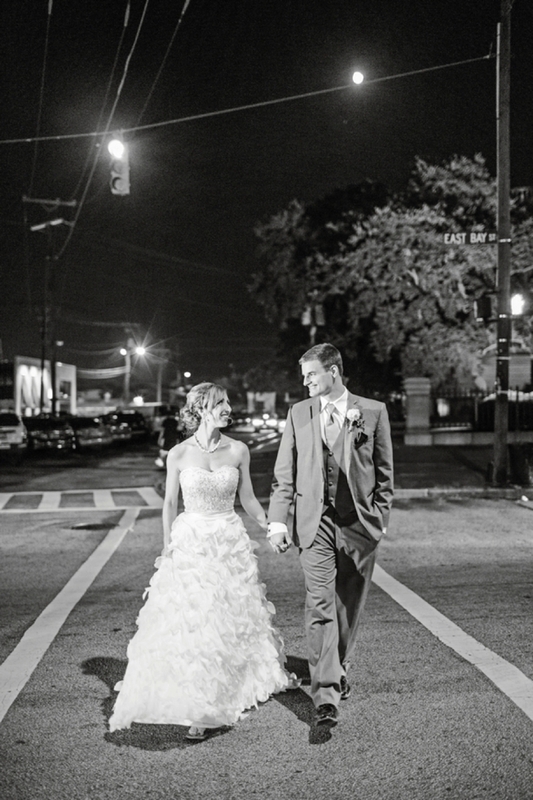 After dining and dancing (and even some s’mores on the patio), Linda and Brian got into a vintage Rolls Royce and headed downtown for some late night portraits with photographer Shannon Michele. 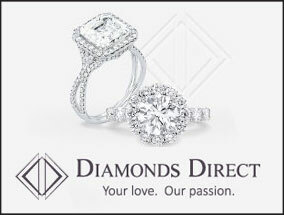 Now that’s a fabulous idea!